It has been more than a month yet Pakistani batsmen remain unable to find their feet in South Africa. Thus far, our performance can only be described as a horror show, particularly from the batsmen who continue to be haunted by short balls. During the Test series, it was Duanne Olivier who tested our batsmen, and this torment was perhaps to be continued by the rest of the South African bowlers during the ODI series. As of now, the series stands at 2-1 in favour of the hosts, with only two games remaining in order to decide the fate of the ODI series and Pakistan’s current team. The following are four observations from the three matches that have taken place thus far; problems that need to be addressed for the remainder of the series if Pakistan is to have a chance of turning the tables around in South Africa. 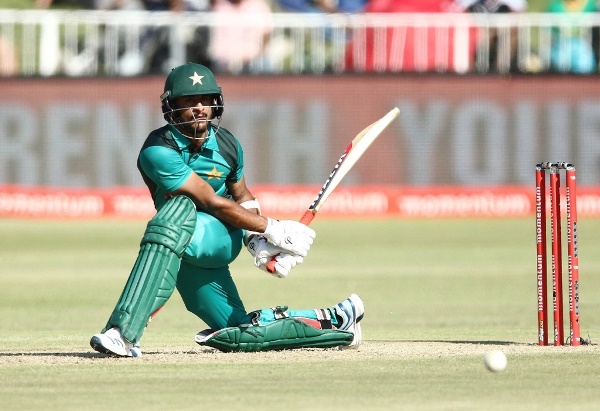 It looked nothing short of a fairy tale at Port Elizabeth during our first ODI, where Pakistani batsmen – especially Imamul Haq – took all South African bowlers to the cleaners. Imam’s shot for six over wide mid on was as crisp as anything we’ve ever seen on the field. But as we moved from Port Elizabeth to Durban, the fairy tale suddenly transformed into a nightmare. The tides of short balls drowned our batsmen, who were barely floating when the scorecard read 112-8. Then Hasan Ali’s heroics played the role of a life jacket for Pakistan, as he briskly made 50 off just 38 balls. 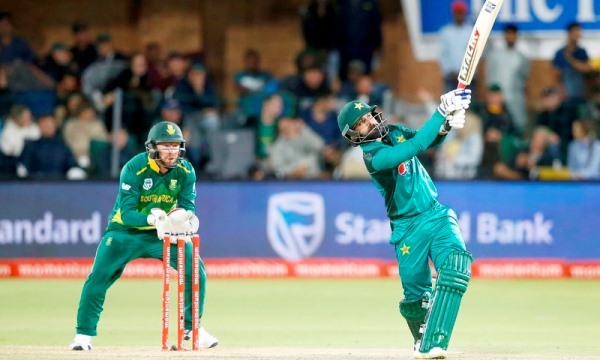 He played fearlessly, reminding the dressing room of how it needs to be done against a team of South Africa’s calibre at a ground that is not in the UAE. At Centurion, luck was in our favour. Not only was there a low bounce wicket which favoured our batsmen, but South African fielders were also generous, as they provided half a dozen chances to Pakistan. None of them, however, resulted in victory. The next two venues are difficult for batsmen and will yet again test the green shirts. Therefore, it is imperative for Sarfraz and co to be prepared for the short ball challenge brought by the South African pace attack. The need of the hour is for Mickey Arthur to make his team practice short deliveries in nets day in and day out in order to salvage the situation they now find themselves in. 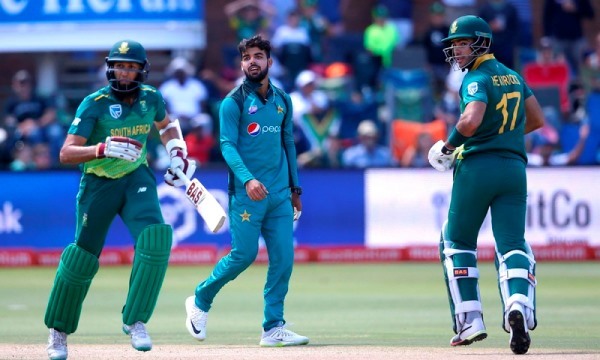 At Port Elizabeth, seeing Imad Wasim in the presence of Shoaib Malik, Mohammad Hafeez and Shadab Khan made one wonder what the management was thinking and whether they planned to take no wickets by bringing out these bowlers in this order. Even Mohammad Amir went wicket-less during that game. Resultantly, Pakistan took only two wickets in the first ODI and still managed to win it, luckily. Then at Durban, Pakistan rightly brought Shaheen Afridi back and he proved his worth yet again. But in the third ODI, the rain ended up spoiling the show for Pakistan. 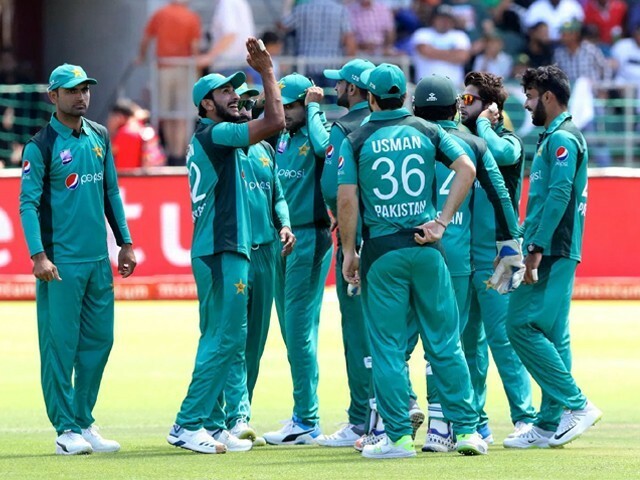 Spinners were doing well, especially Shadab, but once it started to rain and the ball got wet, it was too difficult for our pacers and spinners to grip the ball. 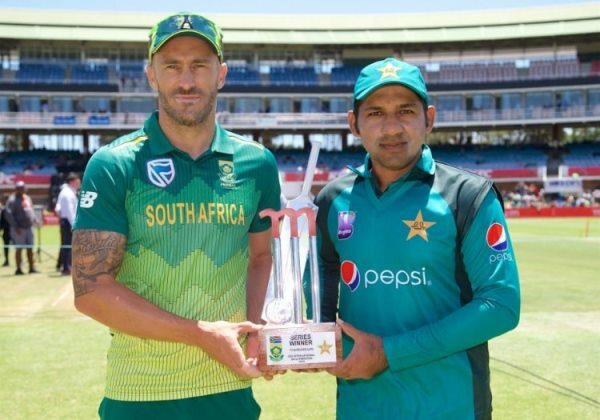 Therefore, the next two games should have either Wasim or Usman Shinwari in the playing 11, as both Johannesburg and Cape Town favour fast bowlers. It is also imperative we play with genuine bowlers and take more wickets. In my opinion, Amir, Hasan and Shaheen would make a better combination with the help of Shadab and Hafeez as spinners. Sarfraz Ahmed is in deep trouble, even apart from his recent controversy and a possible ban from the International Cricket Council (ICC), and his behaviour overall is not doing him any favours. 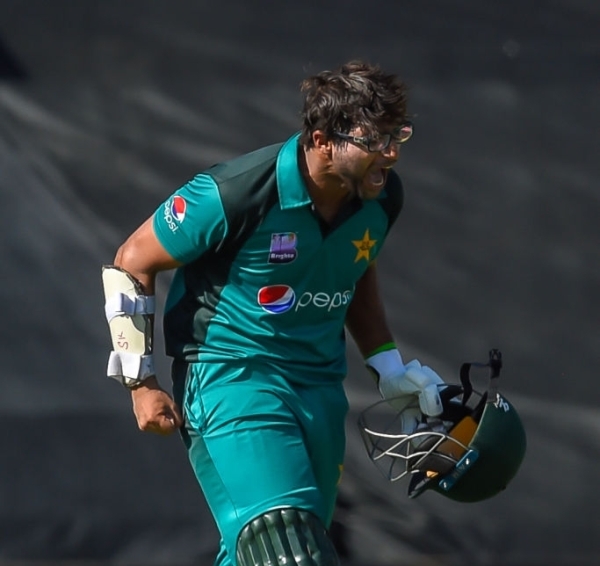 He was criticised brutally – and rightly so – when he promoted rookie Hussain Talat and half cooked all-rounder Shadab ahead of himself at Durban. When the skipper walks out to bat at number eight, shielding himself from taking responsibility, the guns of criticism will of course point directly at him. Also painful to see Sarfraz hiding behind Shadab and the debutant Hussain Talat. Baffling to say the least. His record reveals he bats well in the order of the first five; his last ODI century came when he batted at number five at Lords back in 2015. He also performed superbly in the last World Cup, batting as an opener. So, for heaven’s sake, Sarfraz! Go out and bat at number five, after Hafeez and Malik, and express yourself! Don’t throw Shadab or Wasim ahead of yourself (though that particular experiment worked out well). Further, Malik may be experienced, but his form is creating serious concerns. He did not perform with the bat during our Champions Trophy triumph, and he is struggling now as well. There is so much there for Sarfraz and the team management to digest. The team is struggling, and needs its captain to lead from the front. Therefore, if the green shirts want to come out as victorious in this series, they ought to inculcate balance in the playing 11 and restore self-belief as a unit. Imam has been immaculate thus far in this ODI series. His 86 runs at Port Elizabeth and fifth century in his 19th ODI at Centurion has silenced critics who question his presence in the team. However, Fakhar Zaman’s disappointing form on this tour is yet another serious cause of concern. 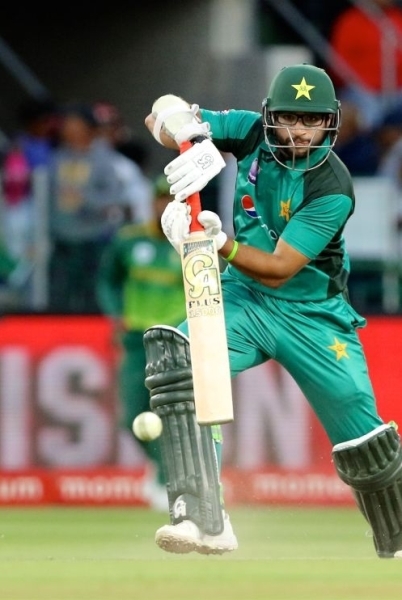 He is struggling with short balls, and from where he stands right now the opening slot of the team is still hollow as far as the nearing World Cup is concerned. 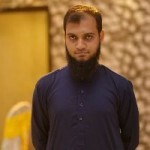 Therefore, Shan Masood, the opener with the highest List A average in Pakistan’s domestic circuit, should be given a chance in the next two games alongside Imam. Not only will this give the coach and the captain the chance to judge his potential, it will also give Zaman the opportunity to rectify his mistakes in the nets and do better in the matches to come. The men in green are standing at a crossroads right now; one more defeat, and the series is gone. The team management must thus find the right balance in the playing 11. The first three games hint that Hafeez is best suited at number six, while Malik and Sarfraz at number four and five respectively. Hasan has to up his game, while Shaheen and Imam should continue their current form. Hafeez has been unimpressive with the ball so far, while Shadab is pitching the ball short on the wickets, where the margin for error is close to zero. All in all, our spinners have to chip in to support their fast bowlers. And last but not the least, Masood should definitely be included for the next two games. These two games are enough to give our team a fighting chance to regain the upper hand and finally prove themselves in South Africa. Fingers crossed for Pink Day at Johannesburg! They have egos the size of a baby elephant.